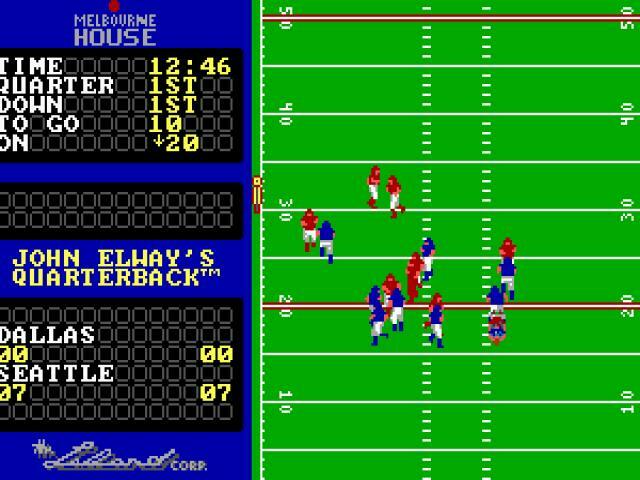 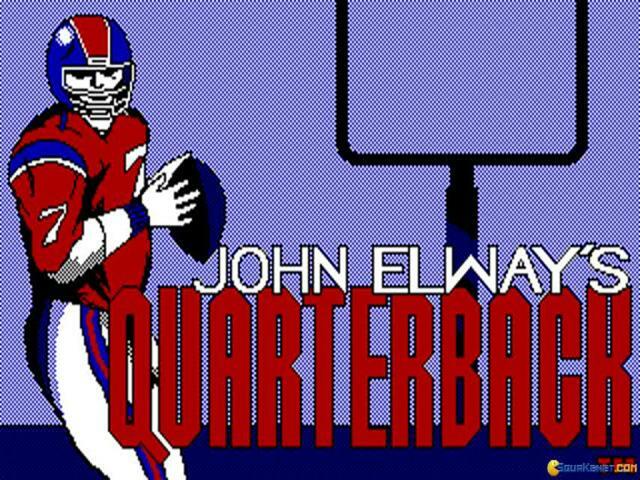 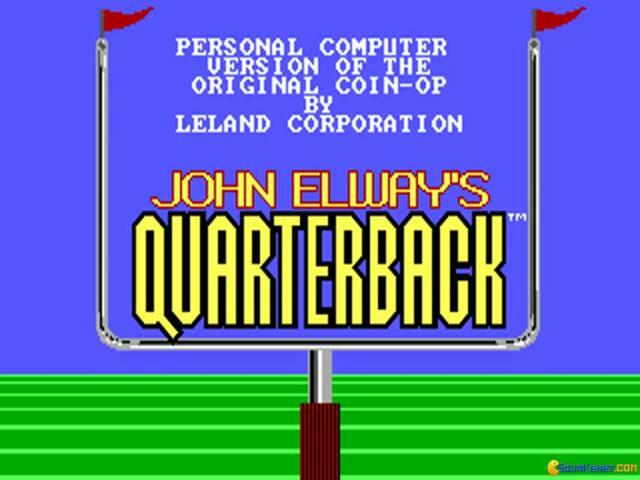 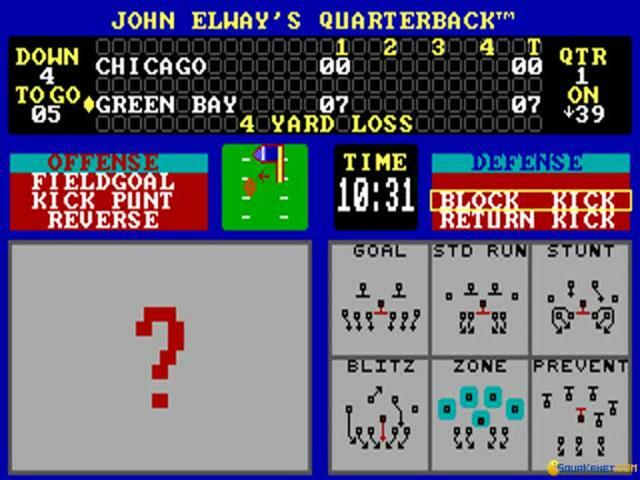 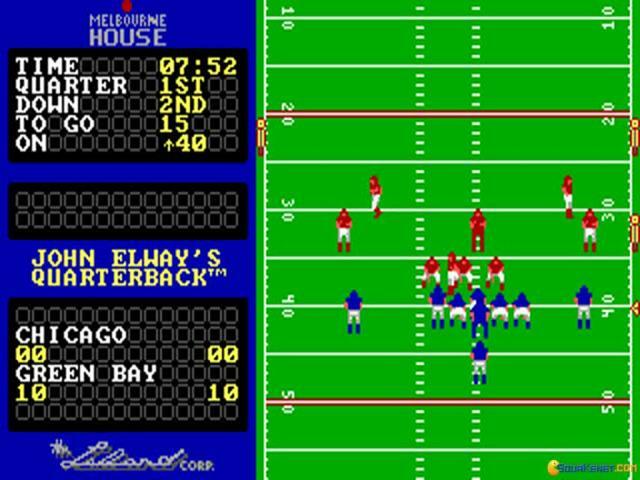 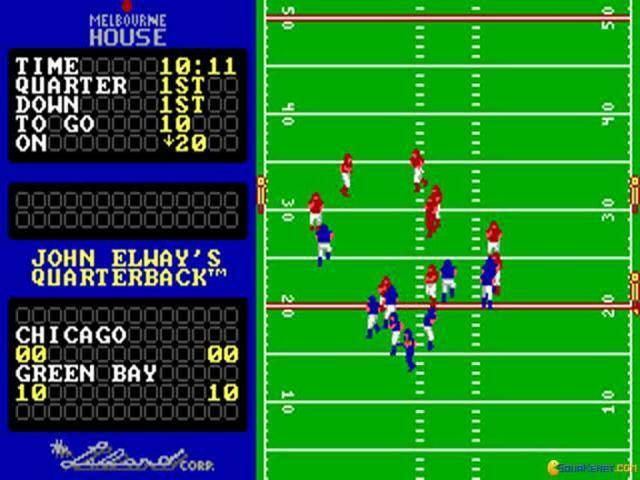 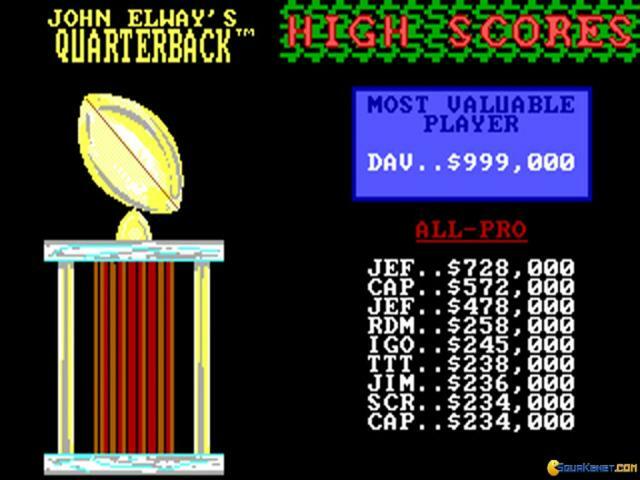 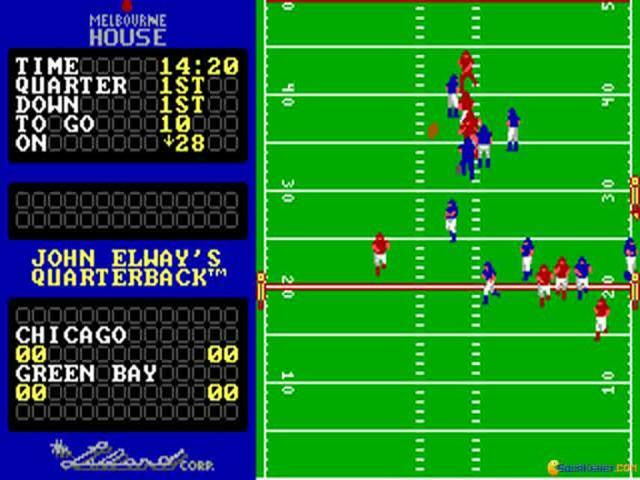 John Elway's Quarterback is an interesting mix of gameplay styles, on one hand being a true action game, where your speed of reaction is essential, and on the other, it is a puzzler, or, rather, an arcade minigame; thus, while the theme is American Football, the production of all the elements that have been used in this one is pretty cool' you control a side of players, either in attack or defense, and for each portion, the game plays a little differently. 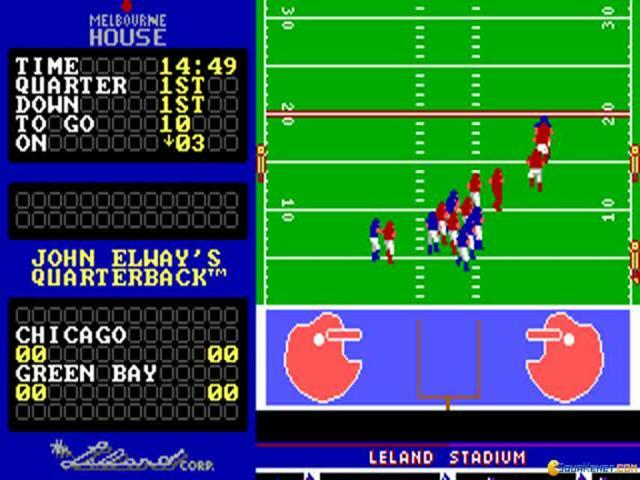 Having been produced for arcade machines and only ported to the DOS environment, some of the actions are not as immediate; the original version of the game came with a spring controller, that allowed you a little bit more precision of play, but here you have to watch your momentum, the way you press your buttons more carefully. 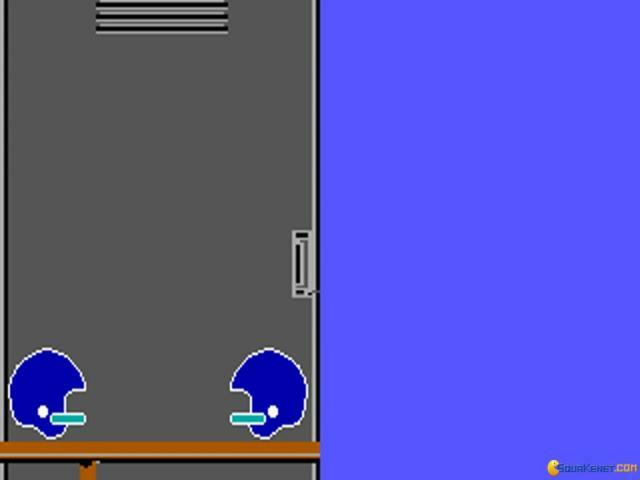 Graphically it's pretty lame sprites on a top down 2D field, nothing too complex. 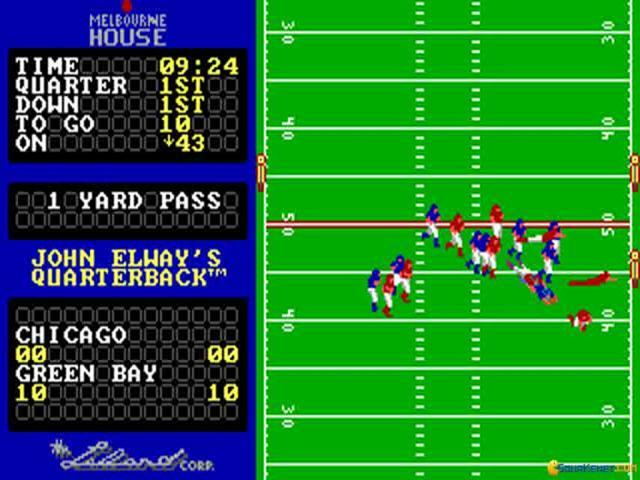 A better option would be to download NFL Challenge, one of the most minimal American football games out there, yet a much more true to the original game product.